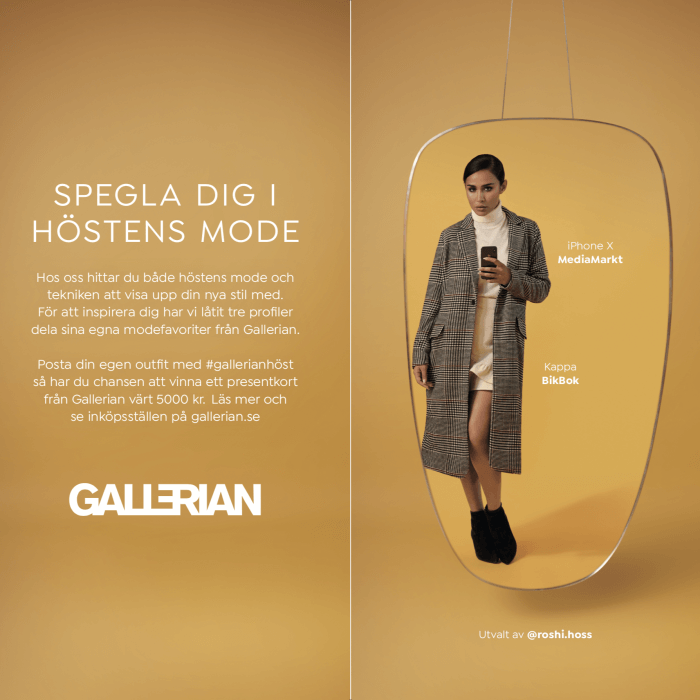 Gallerian wanted to market their new Fall Campaign and bring awareness to the mall centered in Stockholm City. 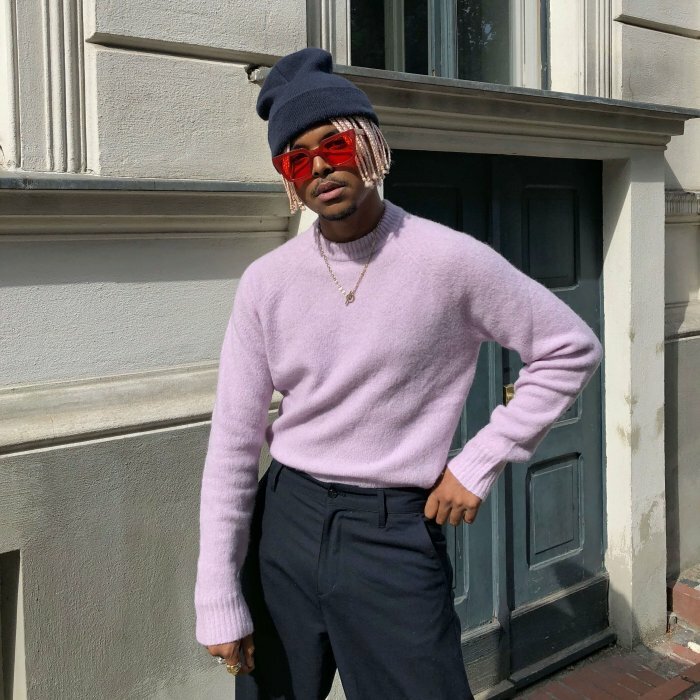 CUBE were assigned to find creators who would emphasize a sense of fashion and starring as models in the content produced for omni channel distribution purposes in order to reach and inspire a broad audience as well as engage the visitors at the mall. 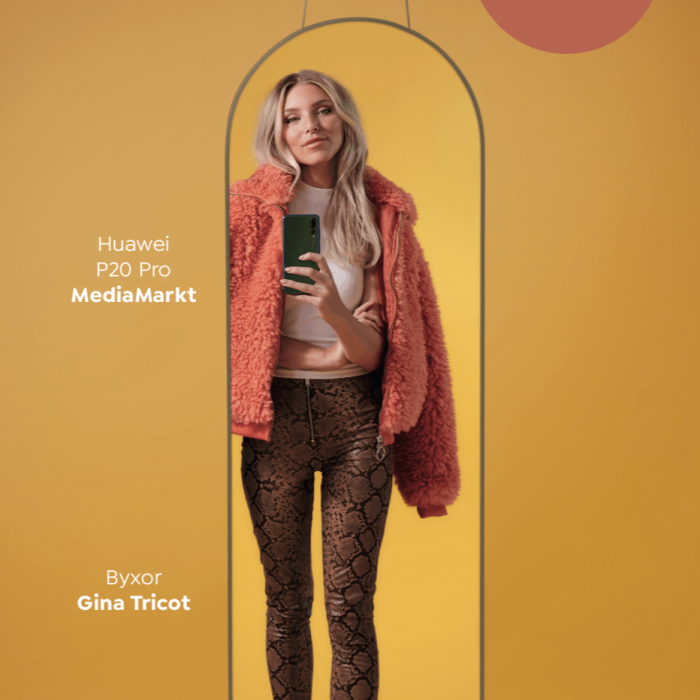 The client wanted to display the range of different stores offering fashion products through well-considered social media stars. 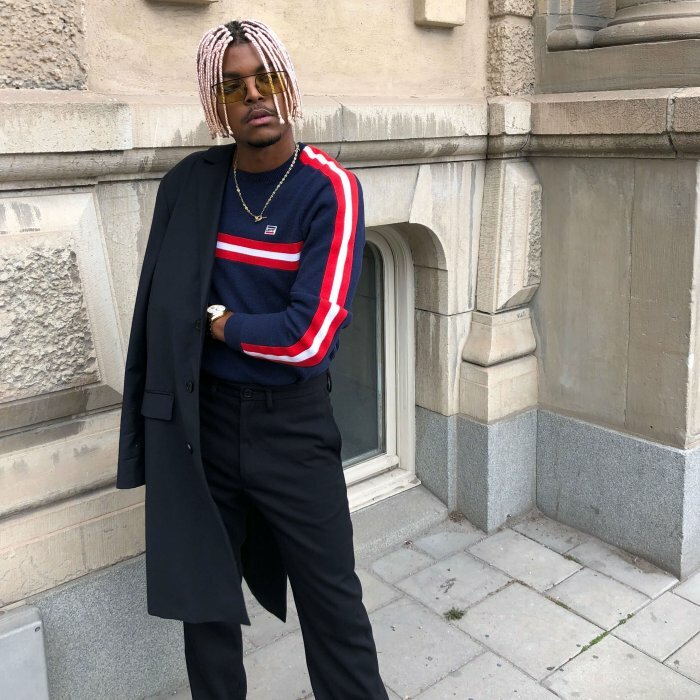 To cover a range of different styles fashion icons Roshi Hoss, Julian Hernandez and Sanne Josefsson were handpicked for this assignment. They were given access to the products in the stores located inside the mall and freedom to put together different looks that represented their unique fall fashion style. This was captured during a photoshoot and the content was distributed on billboards all over Stockholm. 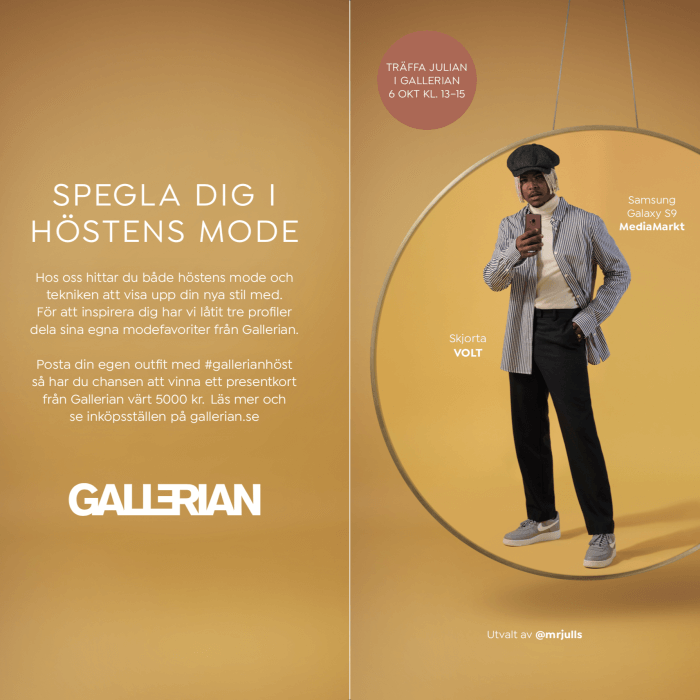 In addition to classic print advertisement, the creators also captured their looks in a personal way that aligned with their creative expression and adding organic reach through their social platforms. To engage the audience further, we arranged two events for Sanne and Julian to invite their’ audience to come and hang out in a meet and greet. This personal & diverse endorsement by social media stars resulted in effective content creation for paid media and huge organic reach in social media. Along with the tailored events we successfully managed to elevate awareness as well as filling the mall up with visitors.